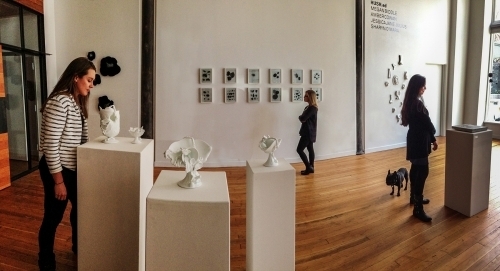 Pioneer Square First Thursday Art Walk offers free parking opportunities. Click here for more information. Who inspires you? Pilchuck invited five established artists to ask themselves that very question and nominate a younger artist, whose work they find inspiring, to show alongside them in Secret Admirer. Embodying the true spirit of Pilchuck Glass School, this exhibition exemplifies our community of artists supporting artists. This diverse group of artists represent the broad range of talent and skill that makes the Pilchuck community so unique. Secret Admirer curated by Lydia Boss. Fumi Amano is a Japanese artist living in Seattle. Her latest work, featured in Chirality explores ideas about delusion and fantasy surrounding relationships between individuals. 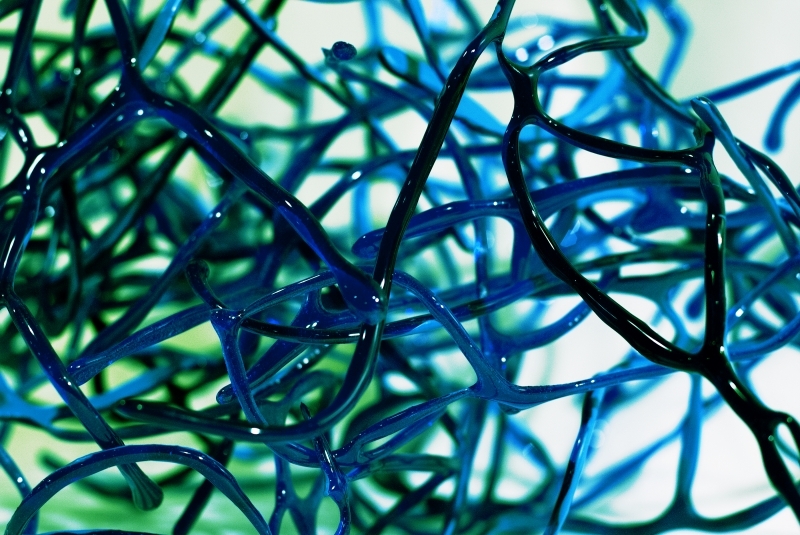 Often using glass for its inherent properties and ephemeral nature, Amano’s work engages the viewer and draws on themes of identity, perceived barriers, and human connection. 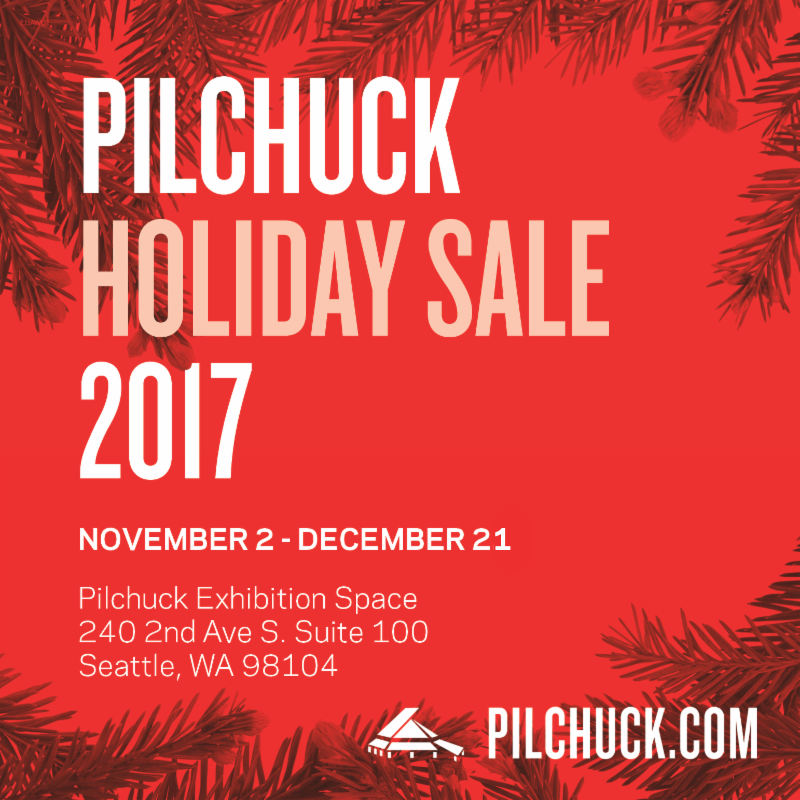 During the month of December , the Pilchuck Seattle Exhibition Space will be open extended hours. 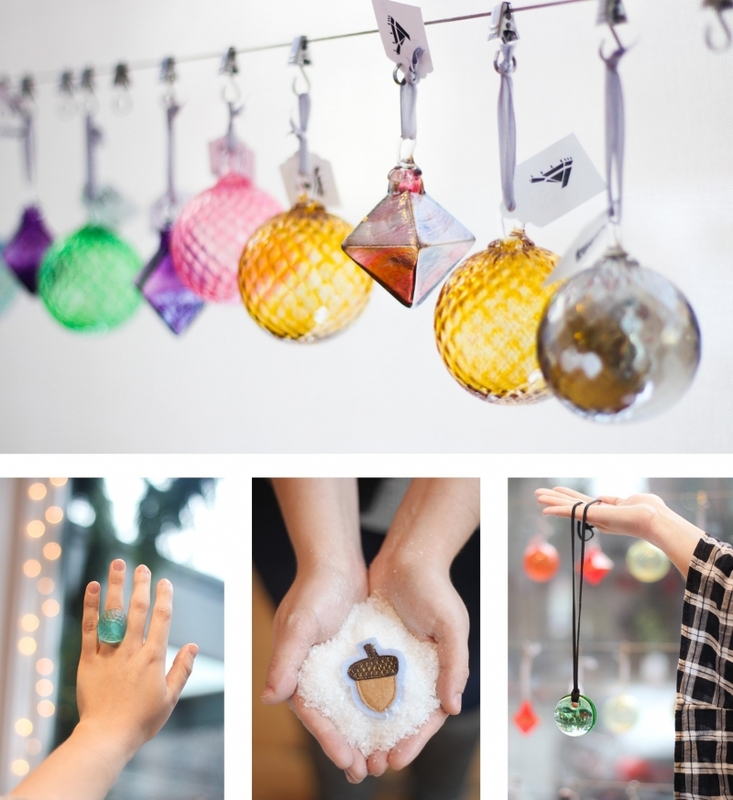 *Free Parking vouchers available for First Thursday events - check out which garages are participating here and pick up a voucher when you visit the Pilchuck Holiday Sale..
Come visit Pilchuck’s Seattle Exhibition Space this winter for our annual holiday sale featuring pottery, crafts, and handblown glass pieces from local artists! Come visit Pilchuck’s Seattle Exhibition Space this October to preview a sample of the art work featured in the 40th Annual Auction and Gala. 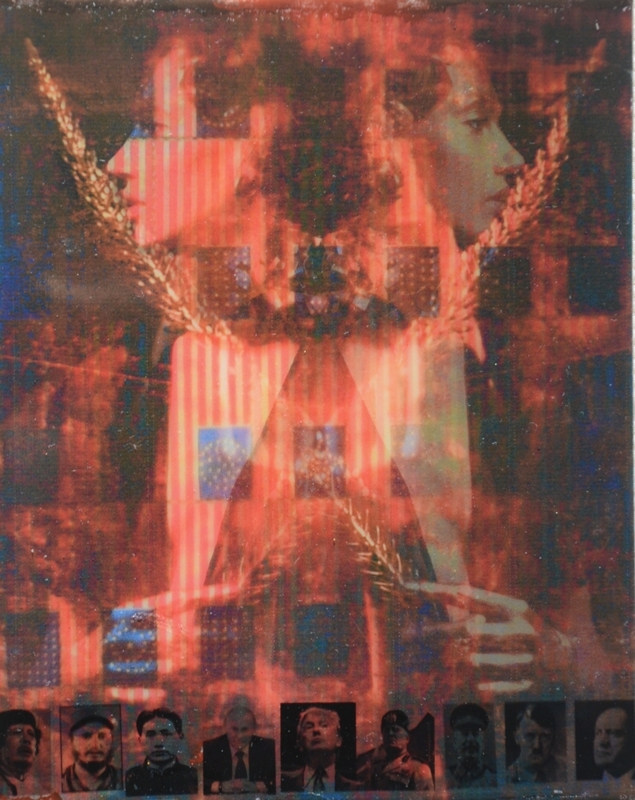 Easy Magic offers an entré into the world of vitreography, a largely unexplored printmaking process that utilizes glass plates to make editions. 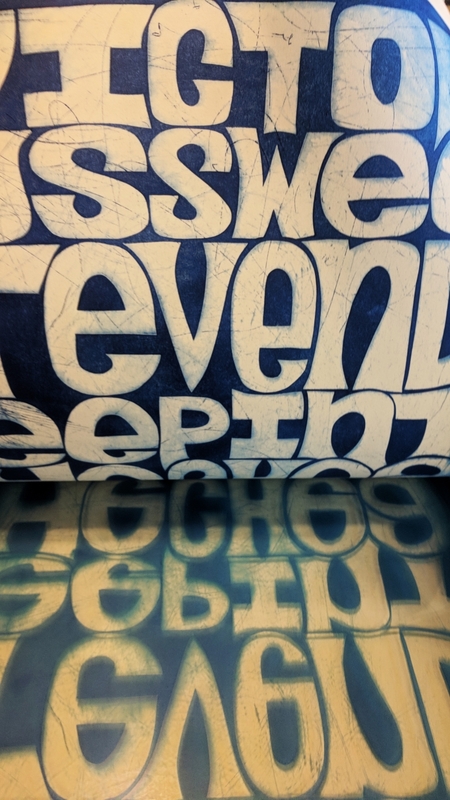 Ben Beres—printmaker, professor at Cornish College of the Arts, and one third of collaborative trio SuttonBeresCuller—unveils this unique twist on his text-based prints alongside vitreography work by students, lab techs, and teaching assistants. [UN]INVOLVED is an exploration of lines, light, and glass. Through an investigation of spectral color, Abram Deslauriers relies on chance and the properties of glass to create compositions that are complex and, at times, feel other-worldly. Driven by his playful, meditative process, Deslauriers examines the intersection of chroma curves in this new body of work. Dis-Course is a response to the current political and social unrest throughout the United States. While individually making work that speaks to their personal beliefs, this group of artists raises their voices through thought-provoking work. With a broad range of experimental techniques in kiln-formed glass, themes of conflict, contradiction, and discord are explored. 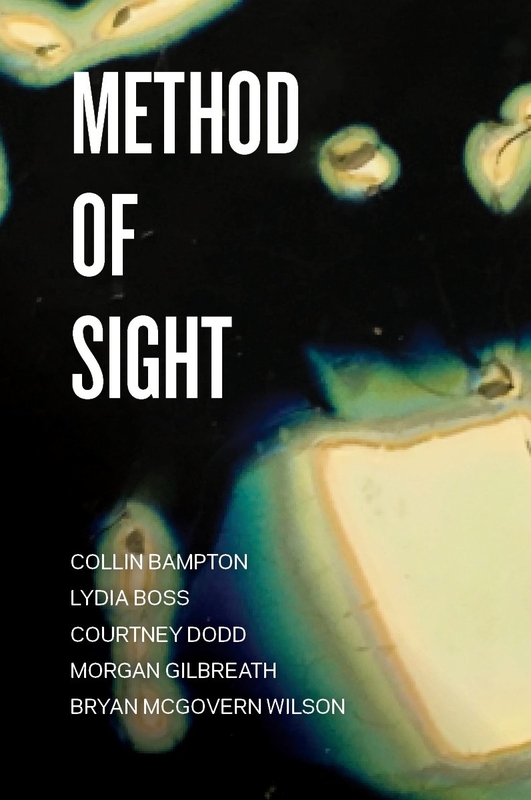 METHOD OF SIGHT features a group of artists whose work draws inspiration from material exploration and experimentation. As they individually shed light on new ways to view and use glass, this group of artists challenges conventional understandings of the material and its properties. As Pilchuck’s 2017 Emerging Artists in Residence, Collin Bampton, Lydia Boss, Courtney Dodd, Morgan Gilbreath, and Bryan McGovern Wilson present new work in this exploratory exhibition. 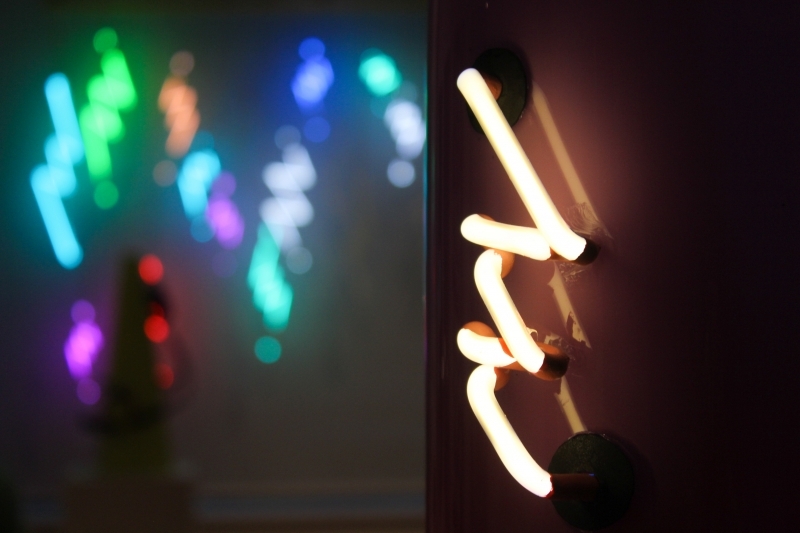 Jen Elek’s work is an exploration into the role light and color play in communication and language. Blown glass, neon, and steel are used for their colorful, reflective surfaces to create an alluring environment that engages the viewer to become part of the vision. Through her work, Elek transcends established notions of craft to explore new territories between concept, design, and fine art. Eggnog and cookies await visitors as they indulge in this neighborhood celebration of the season! Get your Holiday Hooky Hour passport here. 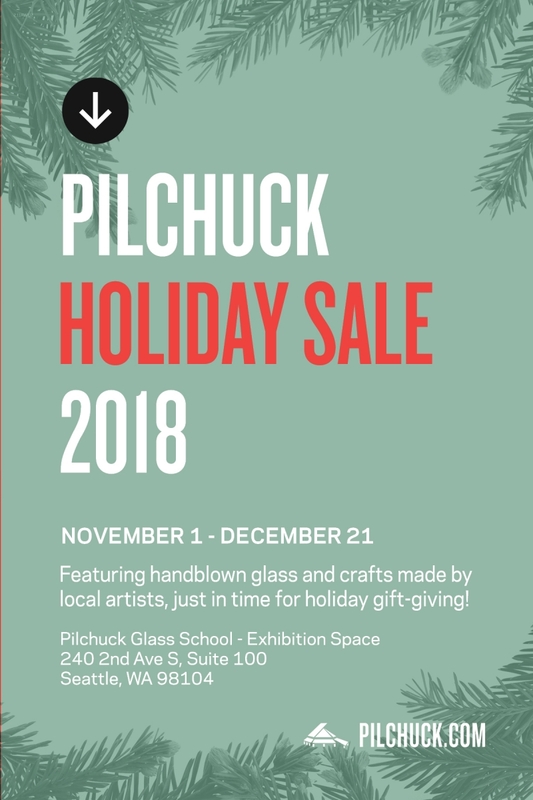 Come visit Pilchuck’s Seattle Exhibition Space this winter for our annual holiday sale featuring pottery, craft, and handblown glass pieces from local artists. 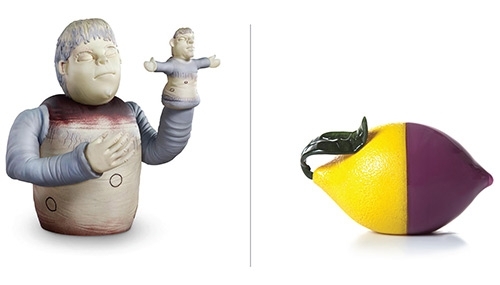 Jen Elek | Levi Belber | Brent Rogers | Granite Calimpong | Deborah Adler | Hot Pop Planters by Lydia Boss and John Hogan | Mike Cozza | Penelope Rakov | Alex Stanyon | Melissa Kistler | Megan Stelljes | …AND MORE! Come visit Pilchuck’s Seattle Exhibition Space this October to preview a sample of the art work featured in the 39th Annual Auction and Gala. 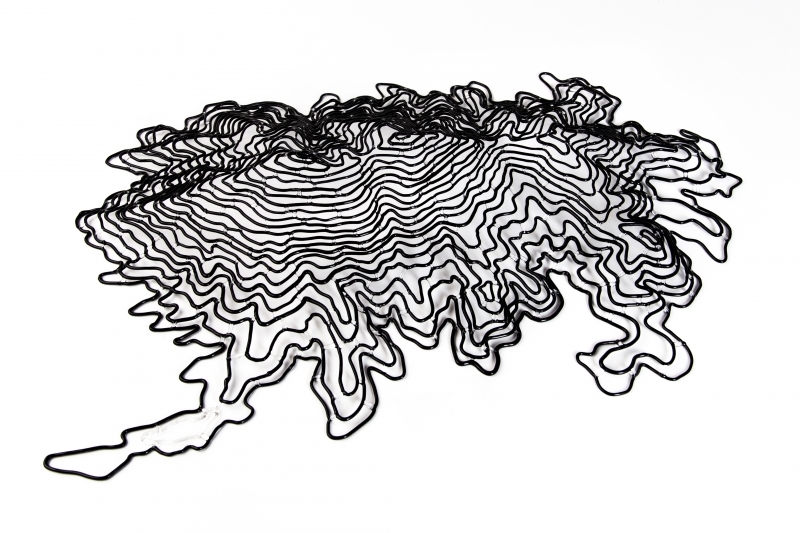 Micah Evans is an internationally acclaimed artist who is known for blurring the lines between art, craft, form, and function. 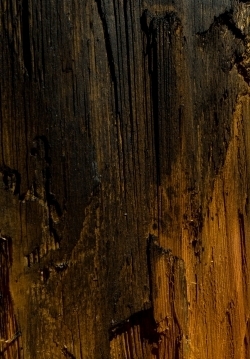 His latest works, featured in ALONG THOSE LINES, draw on themes of history, memory, and erosion. Micah is from the Pacific Northwest and currently resides in Austin, Texas. Justin’s work revolves around strong-content driven satire, inspired by environmental and socially conscious concerns. This exhibition creates both direct and open-ended narratives using playful animals and severed limbs. 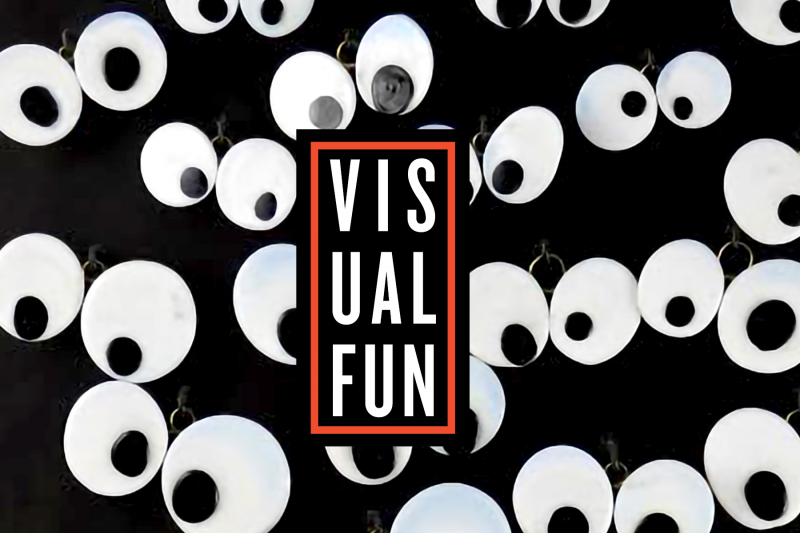 Justin celebrates humor in many modes: whimsy, wit, parody, irony, and nonsense. All of the work featured in Animal Wrongs was created at Pilchuck, with the support of the community. Using humor and satire as a platform, Danny White draws from everyday life experiences and popular culture to influence his work. Megan Stelljes’ style and work are guided by her deep love of color, and an interest in reinterpreting commonplace objects to find deeper, hidden meaning. Together, White and Stelljes present POP CULTURED, featuring new works that explore the relationship between humor and consumerism, and the absurdity of our time. Regular Gallery Hours: M - F, 10 - 4. 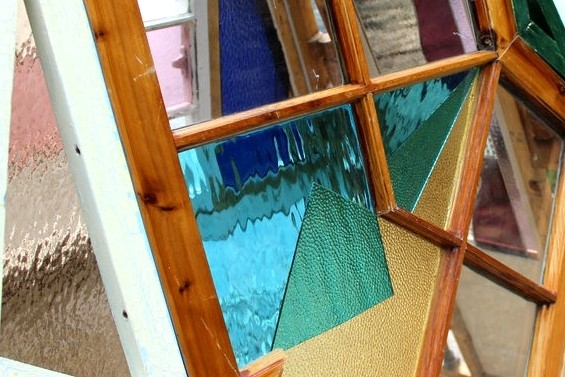 HUSH.ed features a group of talented artists whose work challenges conventional perceptions of sculptural glass. While exploring themes of technology, materiality, and duality, HUSH.ed quietly demands a moment of reflection in our otherwise busy world. 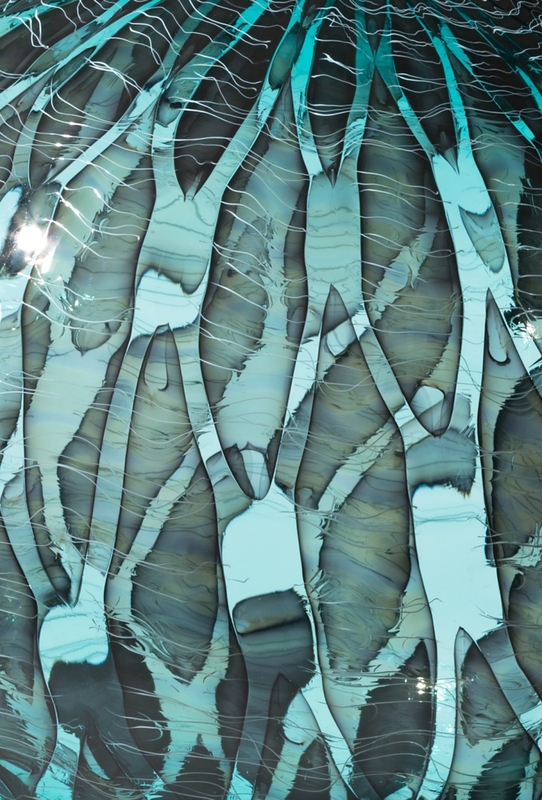 Through abstraction and attention to detail, Megan Biddle, Amber Cowan, Jessica Jane Julius, and Sharyn O’Mara shed new light on the limitlessness of glass as a material. HUSH.ed runs through April 23. 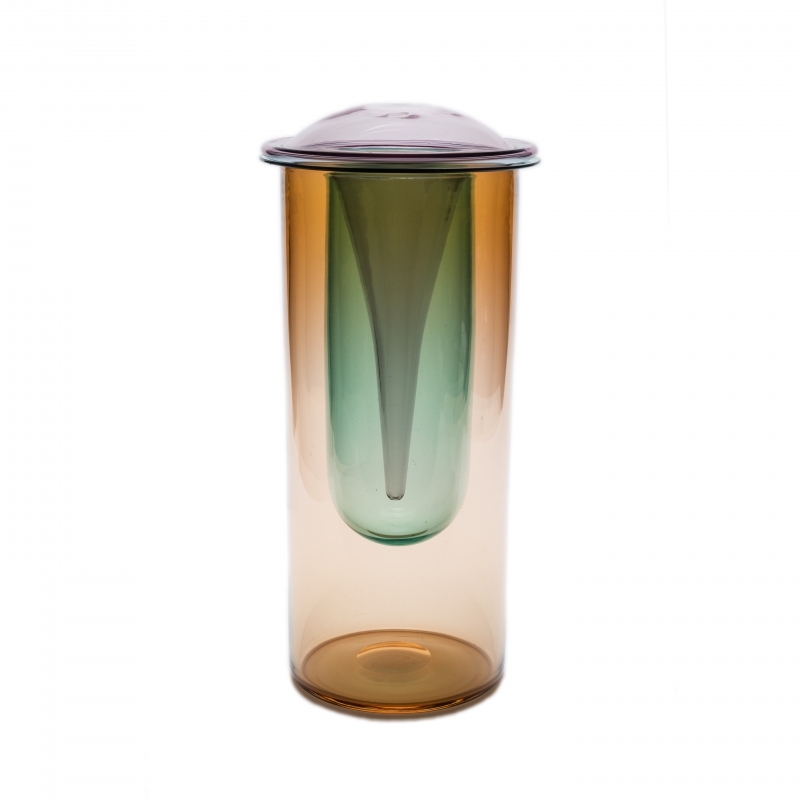 Joseph Rossano’s EDNA conveys a deep admiration for nature, science and history. While the interdisciplinary systems of the natural world are highlighted through his works, Rossano’s show serves as a sampling of different organisms and their connections to one another. Through a wide range a materials, Rossano composes a broad narrative that taps into the viewer’s senses and demands a profound consideration for the vastness of life. 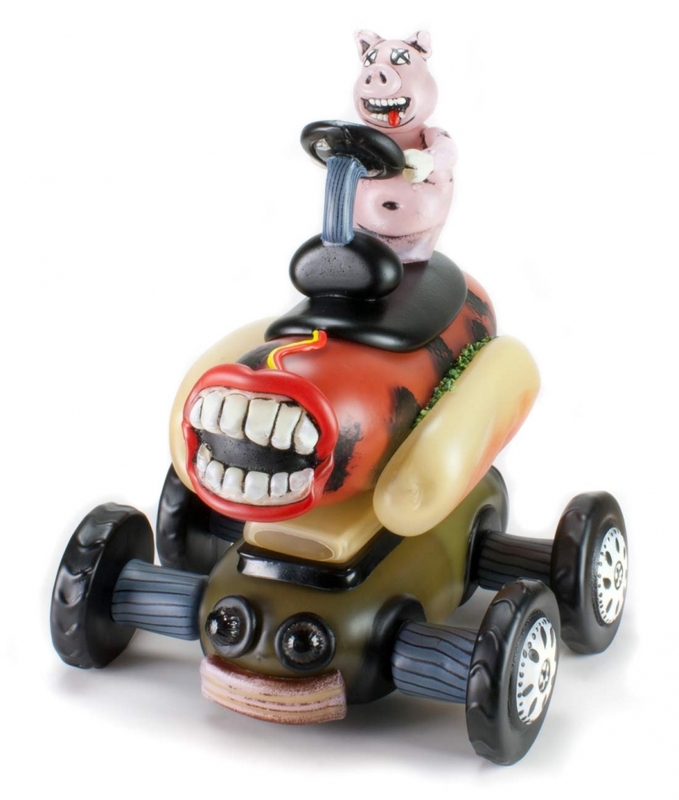 Pilchuck Seattle, 240 2nd Ave S, #100, Seattle, 206-621-8422. Regular gallery hours Monday - Friday, 10 - 4 pm.